IPA has started a new feature called “Spotlight,” which will highlight the good work being done by accounting firm MPs and partners, association leaders, consultants, vendors, state CPA association directors and other big thinkers in the profession. Title: Executive Committee member and audit partner. Qin is one of three committee members who run the firm. 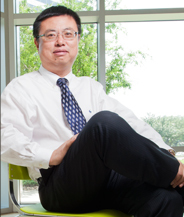 Accomplishments: Moving from China to the United States in 1993 and achieving fluency in English; earning a master’s degree in business administration; working for four CPA firms, including two of the Big 4; becoming partner at MaloneBailey, one of the top 10 firms in the world that serves over 100 SEC reporting companies, while most firms audit fewer than 10. The firm is No. 7 in the world in terms of the number of public company clients it serves. MaloneBailey was also recently named one of INSIDE Public Accounting’s Best of the Best Firms for 2015. Q: What’s your specialty at MaloneBailey? A: I focused on auditing oil and gas companies when I worked at PricewaterhouseCoopers, and I’m well known in this area since I joined MaloneBailey as a partner in 2007. Today, oil and gas clients account for approximately 25% of the firm’s client base. I co-lead the oil and gas practice as well as the firm’s SEC audit practice in China, and I oversee many of the firm’s administrative functions. Q: In which practice area do you expect the most growth over the next 12 to 18 months? A: MaloneBailey is a niche-based firm that specializes in audit services for microcap and small cap SEC-regulated companies. We expect continued growth in all areas of our SEC audit practice. We currently proudly serve nearly 200 SEC registrants as clients in multiple industry lines, such as oil and gas, biotechnology and life sciences, high technology, construction, manufacturing and mining. Through our comprehensive strategic marketing plan, we expect to see those numbers continue to grow. Q: What’s the biggest challenge your firm is facing now, and how are you addressing it? A: As a service-oriented firm, people are our No. 1 asset. Recruiting and retaining talent is a top priority for our firm. To that end, we implemented a robust on-campus recruiting program at the top accounting programs at universities nationwide. MaloneBailey is committed to research-based retention initiatives that are attractive and loaded with benefits. We offer a remote audit approach for more work-life balance and flexibility as well as overtime compensation, alternative schedules, home work stations and a business casual environment – all initiatives that foster an engaged culture. Q: On a personal note, how did you adjust to the differences in culture and language when you moved to the U.S.? A: It was challenging moving from my home to a country where I didn’t know enough of the language. There was quite a bit of culture shock and it took me close to a year to get adjusted. I was very lucky, however, in that my wife joined me when I moved. Learning the language and the culture of the people took time, but I’m glad I was able to overcome those hardships and build my career here. I also received one-on-one English training from a University of Houston faculty member. Q: How has your understanding of Chinese business and culture helped MaloneBailey? A: I took on the responsibility of building the firm’s SEC audit practice in China to serve Chinese companies interested in going public in the U.S. I helped the firm not only gain clients in China, but I also opened two offices in China – one in Shenzhen and one in Beijing. MaloneBailey is a market leader in serving U.S.-listed Chinese companies. Our firm possesses the requisite skills in terms of language, technical and cultural expertise to manage the intricacies of conducting accounting and audit work in China and in the United States. Q: What are the two best perks that employees get at your firm? A: In 2014, we rolled out a very popular initiative – a 9/80 schedule during non-busy weeks. Staff can opt in to this program where they work their 80 hours in nine days, instead of the usual 10, and get every other Friday off, allowing for a highly anticipated three-day weekend every now and then. Unique to our firm is the fact that we compensate for overtime. Staff have the choice of either getting paid for their overtime or banking it for additional PTO to use at a later date – or they can do a combination of the two. We believe it’s their time, their money and their choice! Q: Which leadership qualities best ensure success at MaloneBailey? A: Our strong commitment to an open-door policy has created an environment in which communication takes the forefront. Effective communication is critical to our success. This, combined with a NextGen Council, fosters an environment in which all voices are heard. The NextGen Council is a forum for first and second year staff to express what matters most to them as the next generation of our firm’s leaders. Q: Any advice for new CPAs joining the profession? A: The first is to be passionate about whatever you do. I am truly passionate about our profession and I believe that played a major role in my success. If you are passionate about things, you can go far and impact your company or industry. The second piece of advice is to be open about new tactics and thinking outside the box. I have always been a big believer in being included in the many aspects of our firm, from marketing to firm management to business development and recruiting. By being involved in the many moving parts of a business you can start to think outside the box and create innovative strategies that that are truly cutting edge to your firm.